Once again, the wind wafts yet another welcome scent of victory for the Philippines Movie Queen and Star for all Seasons at the Feminist Centennial Festival at the Cineplex, Shangri-La Plaza last night. She is indeed a national treasure. We belong to thousands of Filipinos who wish for her to be the next National Artist of the land. Lately, we hear that it will be a choice between her and the late FPJ. For sure, the numerous or countless recognitions, honorary doctorates, lifetime achievements and this latest honor given by the NGO-GO Feminist Centennial Media Committee and the Communication Foundation for Asia cemented Ate Vi’s stronger bid to clench the National Artist title. And if this happens, yan ang talagang “heaven!” The awards night was by invitation only. Against our better sense, we tried our luck and waited on cue. There is reason to be optimistic. Our beloved Ate Vi is one of the 6 distinguished honorees. Having prior commitments with her constituents in Lipa, we believe that there must be a representation in her behalf. And our patience paid off. We were accommodated by the working committee at the reception. We proudly introduced ourselves as member of Vision and VSSI (Vilma Santos Solid International). Present to witness the ceremony include Eric, Noel, Al, Zaldy, Paulo and myself. We were a small contingent occupying a better section of the theater against the batallion of diehard Noranians, how did this happened?! Ms. Boots Anson Roa accepted the trophy (in her her behalf) and read the passionate and meaningful thank you message of Ate Vi. some insights. I am posting some of the write-ups included in the festival programme: 6 reasons to celebrate we salute six icons of Philippine cinema…for their invaluable contributions to the film industry…for being legendary…and passionate about their art… and for being women. Marilou Diaz-Abaya, director. Despite the risks of being categorized as a “woman’s director,” Marilou Diaz-Abaya staked her claim on the genre with the trilogy of films – Moral, Brutal and Karnal – that explored the realities of women’s lives and challenged social mores and rigid expectations of women. In the decade of political turmoil and rapid social change, Diaz-Abaya’s films, while anchored in intensely personal stories, enlarged upon the intimate limits of women’s lives to raise sharp and cutting questions about Philippine society and gender relations, thereby triggering debate, discourse, and ultimately, the transformation of the Filipina’s sense of self and her situation. Lualhati Bautista, screenwriter. Known for creating strong, independent women characters asserting their autonomy and engagement in the society, Lualhati Bautista has given today’s women compelling role models to provide alternative modes of behavior, attitudes, and relations. At the same time, she uses the women’s stories as prisms on the political and social condition illuminating and reflecting women’s realities and aspirations in all their vivid color and artist to make films that combine artistry and innovation with commercial viability and social commentary. Through Star Cinema, Santos-Consio has shown that it is possible to meet the demands of commercial cinema without compromising one’s commitment to quality and to delivering meaningful and compelling stories. Lily Yu-Monteverde, producer. 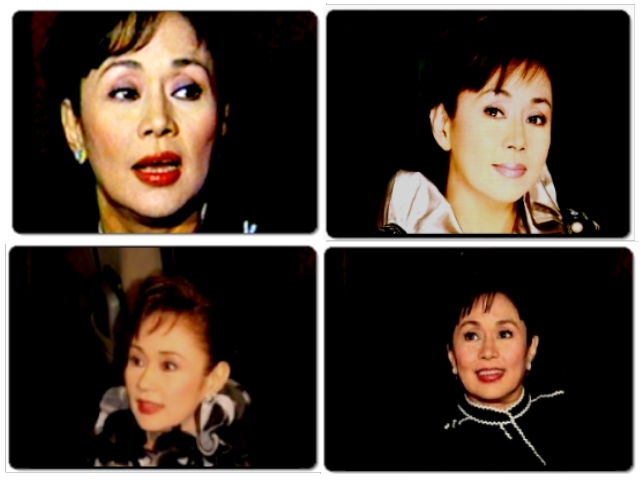 Has been “mother” to the Philippine movie industry in so many ways. This entry was posted in ARTICLES and tagged ARTICLES, FEMINISM. Bookmark the permalink.